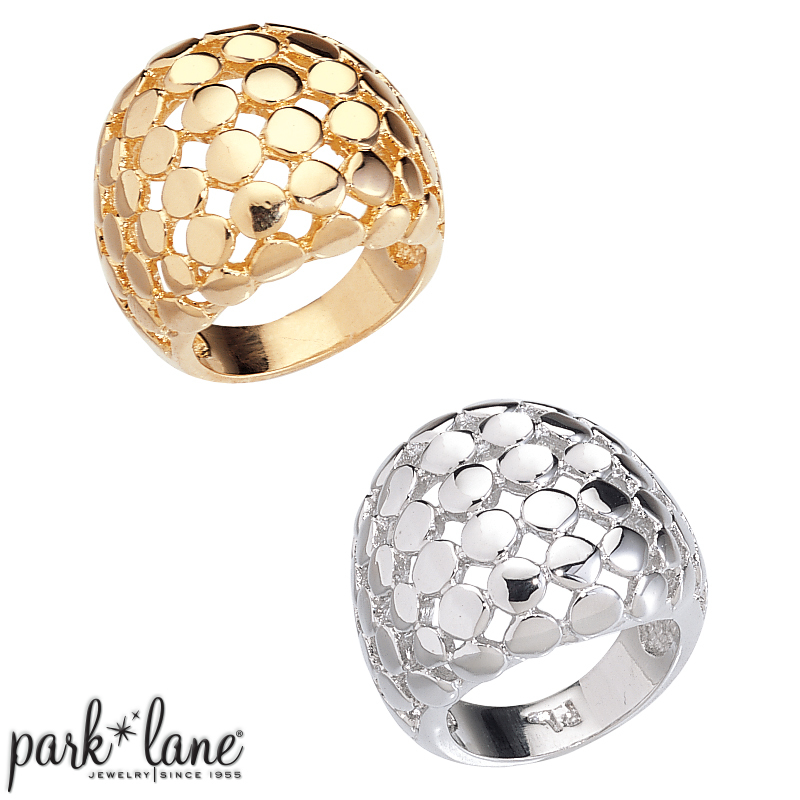 Knockout ring is an airy, lattice dome of tiny round drops of silver or of gold. The designer-inspired metal "caviar" motif makes this a ring to be coveted. Wear it on your command finger and get what you demand! Knock-out ring is available in sizes 6 though 10. Ring complements gold or silver jewelry.